We have always intended our pots to be useful everyday objects, but we aim to make them visually appealing at the same time. The shapes may remind you of familiar pots from the past, but the stoneware clay we use is hard wearing enough for modern microwaves and dishwashers. We make our clay and glazes to our own recipes. The pots are thrown on a wheel and are then cut and shaped, handled and decorated. When the pots are completely dry we glaze them and fire them once in a gas kiln to a temperature just over 1300 centigrade. We spent many years selling through other shops all over the UK and our pots became familiar in several cookery books including 2 Cranks books, Delia Smith’s Summer Cooking and Betty’s Cookery School recipe book. Our pottery has been featured in Country Living magazine, Crafts Magazine and Homes and Gardens and we have taken part in numerous exhibitions in the UK and abroad, including a British Council touring show to India. We have a few pots in the Victoria and Albert collection of modern Studio Pottery. 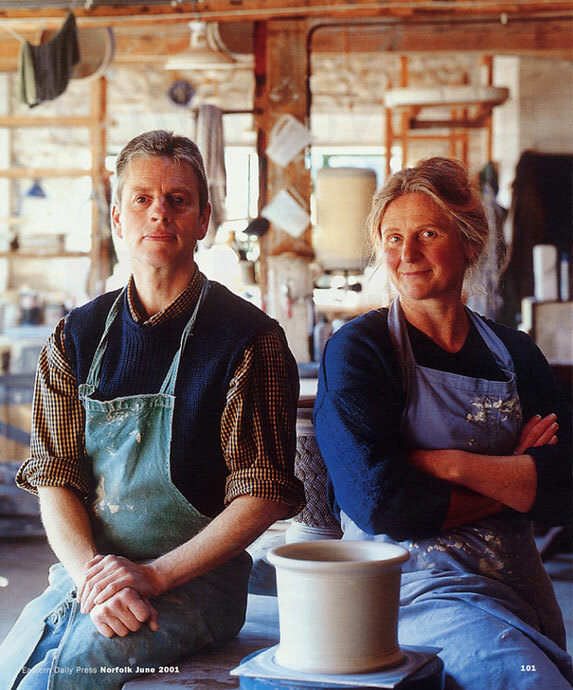 We met at Farnham Art School on a ceramics degree course, then started out making pots for a living in 1975. 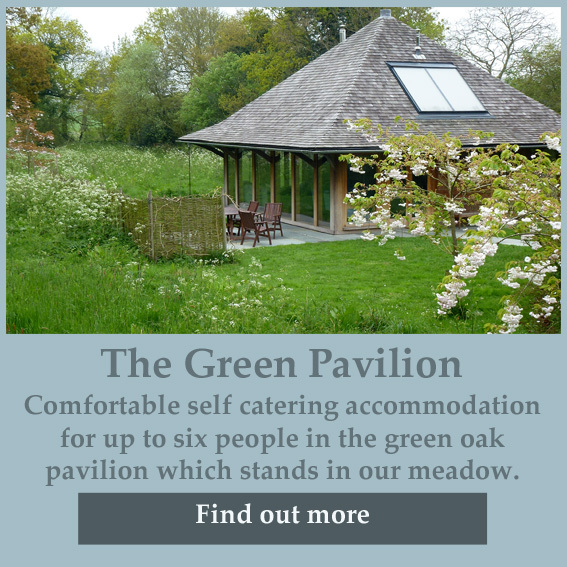 Our first workshop was in some rented barns in Hunworth, North Norfolk, and since 1981 we have lived and worked in Gresham, 6 miles east of Holt.